When it comes to installing line marking and traffic directions to the floor of multi storey car parks, different environmental concerns must be factored in to your specifications. With exterior line marking, the material is open to the elements. This means rain can wash any carbonation or residual dirt away from the line. This keeps it bright and visible to road users. With interior line marking, heavy carbonation will cause the material to wear faster and be less effective for users. Centrecoat’s Thermoplastic Letters and Thermoplastic Numbers products are manufactured in the UK. Complying with New Roads and Streets Act 1991, they are extremely resilient for use on highways, roads, warehouses and car parks. Every individual project is different. For example your indoor or below ground car park may require signage in individual bays. This could be to denote who they belong to for example. The easiest way to make the text as professional as possible is with standardised thermoplastic letters. Promain’s Thermoplastic Line Letters and Numbers contain glass reflective beads within the surface. This keeps dark areas visible when vehicle lights cross them. Preformed thermoplastic is thicker than paint. This means you can use a power washer to clean and bring signage back to life. Available from A-Z in uppercase. These thermoplastic letters provide an exceptionally clean cut marking that can be trafficked within minutes of application. You can apply our Centrecoat Thermoplastic Letters at any time of year, even in cold conditions. As a result, this makes them ideal for use in cold or dark underground car parks. The substrate temperature is not an issue when it comes to applying the product. 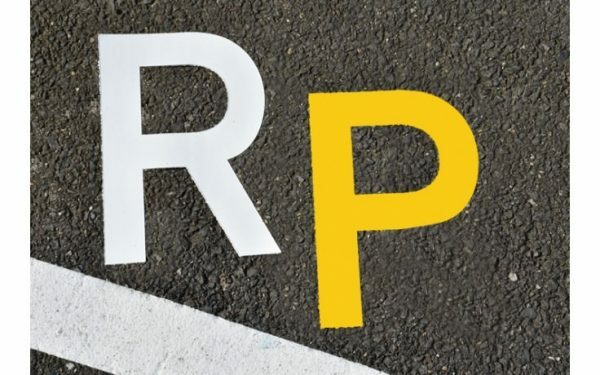 If you are interested in thermoplastic letters or numbers for indoor car parks, road directions or private parking, contact our sales team today on 01462 421333.